Food has always meant family and community, whether it’s a weekend dinner at home, block parties, or local festivals. Breaking bread with neighbors, tribal members, friends, and loved ones are forms of bonding that increase our important connections to others, through food. The industrialized food system has, in many ways, robbed us of many of these connections, specifically our community bonds. But these connections can be enhanced and expanded by purchasing food from local growers and food processors. Local food producers allow you to connect with your food and the people who grow and make it. 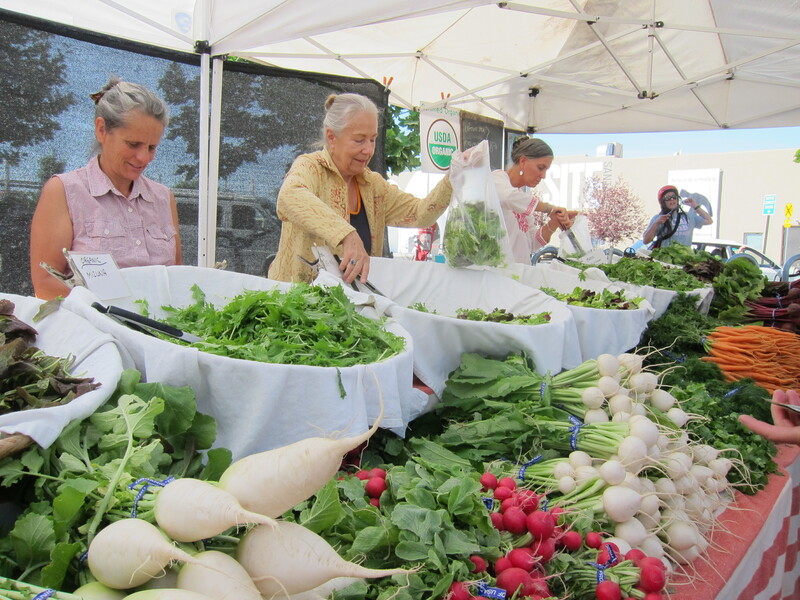 Local food connects in more ways than one. Here are our top 11 reasons to shop from your local food producer. 1) Freshness: Fruits and vegetables grown by your local farmers are usually harvested within 24 hours of being harvested. This means that the freshness of this produce is superior to that harvested and shipped from thousands of miles away. 2) Taste: Produce picked and eaten close to harvest tastes best, especially when compared to fruits and vegetables that have been sitting in a truck, then on a store shelf, for a week (if not longer) before being purchased by you. Local farmers also grow varieties that are chosen for the best taste and not how well they ship over long distances. 3) Nutrition: After harvest, the vitamins and minerals in produce declines through time. To get the most nutrition for your money, buy food that has been harvested within 24 hours of purchase. The same holds true for dairy and ranch-raised foods. 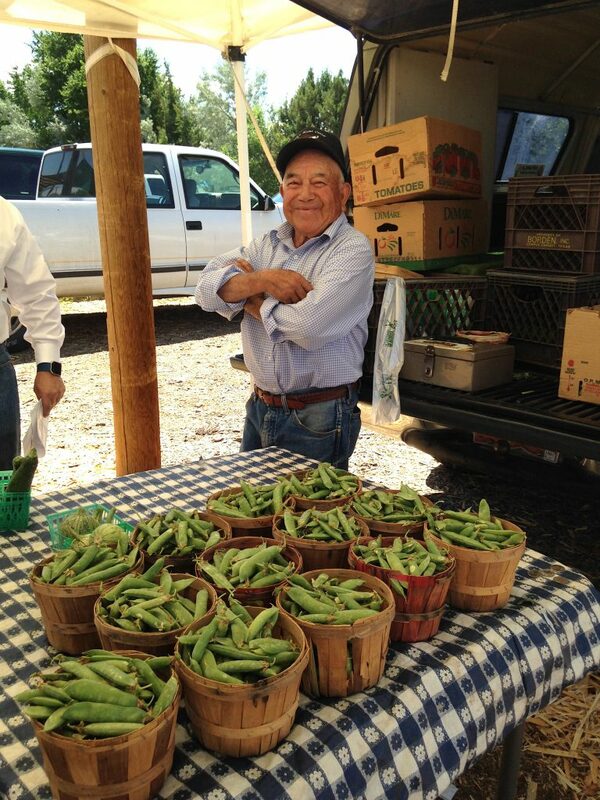 4) Economic health: Giving your food dollars to local farmers and ranchers means you’re supporting the New Mexican economy instead of far-away corporations. Your financial votes are some of the most powerful you have outside the ballot box. 5) Variety: Local food producers can provide a richness of products that’s tough to match. From purple potatoes, to wasabi goat cheese, to ground yak, and beyond, local food producers feed New Mexico a rich variety of delicious food that can sustain a family year-round, without boredom. 6) Connection: From meeting the farmer who grew your salsa ingredients, to talking to your local rancher about their growing practices, buying local means increasing your connection to community members and the food they grow. This connection turns grocery shopping into a meaningful experience, and provides a chance to talk to neighbors, exchange recipes, and teach kids about where their food comes from. 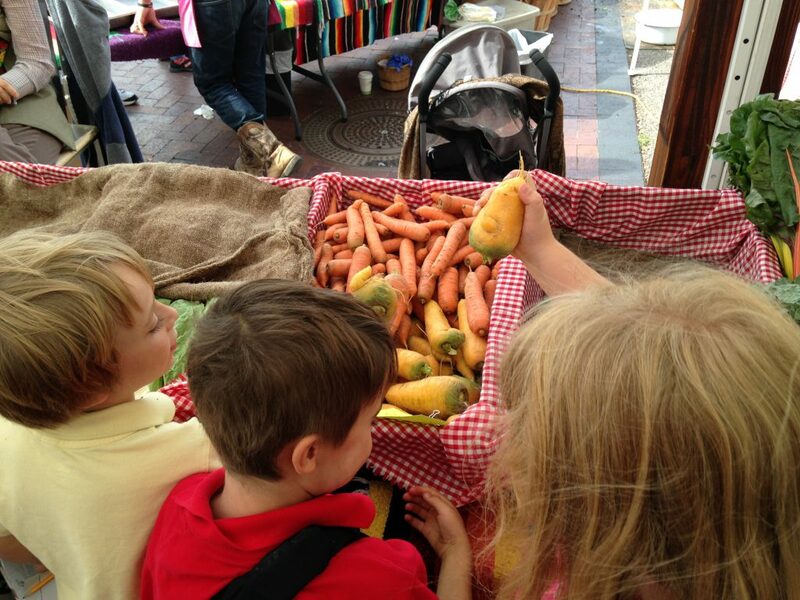 Children love farmers’ markets, and enjoy seeing fresh fruits and vegetables in a more natural state. 7) Power: Most food we purchase is faceless, and frequently we have no idea how meat is grown or processed, how farm workers are treated, or how fresh food is. But with local food, we regain our power to choose. We can talk to the growers, ask questions, and in many instances even visit their operations. 8) Cost: Conventional food prices don’t reflect several hidden costs including corporate subsidies, tax dollars used to mitigate waters polluted by large-scale production practices, or medical costs to treat pesticide illnesses carried by farm workers or consumers. Local food is more honest in its financial transparency, so you know that the dollars you spend are going towards healthy food produced by people you can talk to. 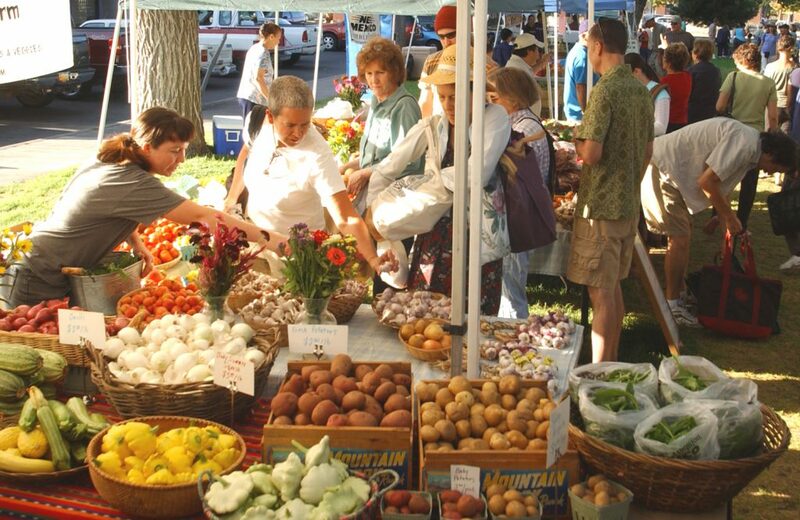 9) Decreased taxes: Local food can keep tax dollars down. Local farms contribute more in taxes than they require in services, according to several studies by the American Farmland Trust. In contrast, development projects contribute less in taxes than they require in services. 10) Wildlife: Local farms help conserve soil and are less wasteful of water resources. Smaller farms are a patchwork of growing and grazing fields, hills, and arroyos. This type of environment provides increased habitat to support plants and animals. 11) Trust: You may have heard about the fake garlic and honey coming out of China. When you buy from local farmers and beekeepers this is something you don’t have to worry about. Because you can talk to the food producers and build personal relationships with them, you can place your trust in the food you buy. Local farmers and other food producers — from ranchers to beekeepers to bakers — are available to answer all of your questions. Great article, Christina! Would there be a way to get a printable copy to hand out to our customers at the market or elsewhere? You make a good point how the taste of food picked up from a local food market will taste better. Having food that is fresh from the harvest sounds great to me! I’ll have to check out a market sometime soon so that I can get some quality equipment before I host a dinner. I would but your hours/days are to few.